Two of France‘s most famous rappers will settle their on-going feud with a £1.75million cage fight following a punch-up between their entourages in Paris airport. 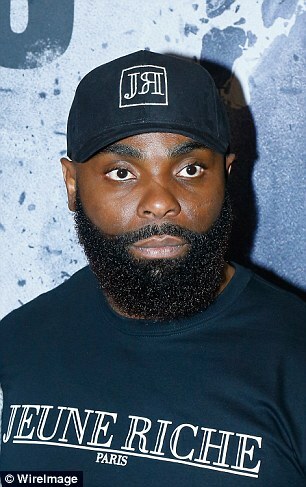 Kaaris, 39, took to social media to announce the fight with a video signing the contract as he threatened to ‘drink his rival’s blood’. 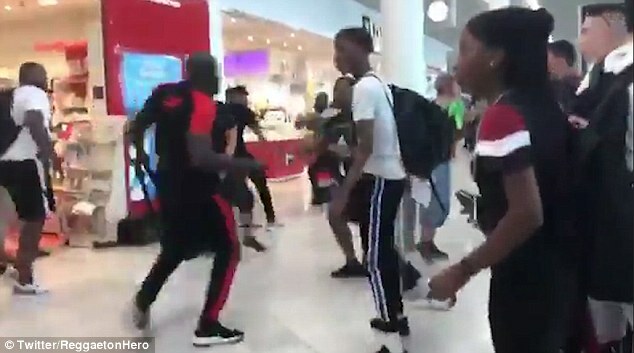 Frightened passengers, many of whom were with young children, were filmed fleeing the scene as the burly men trade punches and kicks, one one man even hammering another with a bottle of perfume. In one video, a man is pinned against a wall shielding himself as three others punch, kick and hurl objects at him. 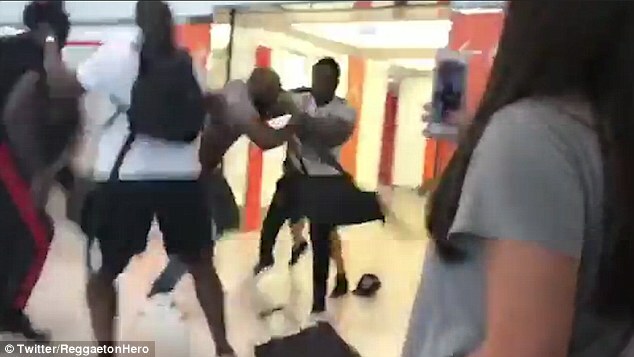 Eleven men were arrested following the brawl which has been widely shared on social media, including Booba, 41, wearing a black t-shirt, and Kaaris, 38, dressed in grey. Prosecutors tried to establish who was responsible for starting the fight but decided both men were to blame and handed them a £43,000 fine on top of their suspended sentences. Both are bitter rap rivals, and frequently exchange angry words on social media, but this is the first time that their hatred is known to have spilled over into real life violence. 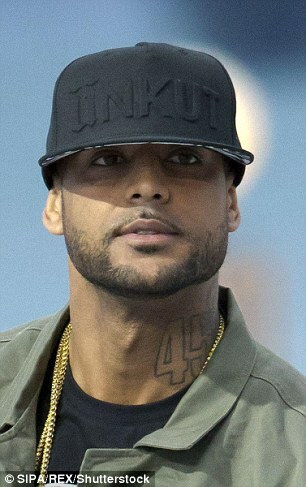 Booba, real name Élie Yaffa, is one of France’s most successful rap artists, having sold millions of albums worldwide. He previously collaborated with Kaaris, whose real name is Okou Armand Gnakouri.